Hey lovelies today I have for you a little post sharing with you some of the things I have been loving In November, Now the weather has well and truly turned wintery I get to indulge in my passion for boots and these Asos beauties my hubby bought me have become my firm fav's , of course it is now coat weather and this pale blue one I picked up for a fiver yes £5 from ebay is just devine, and I can't stop wearing it. Now the nights have drawn in and the weather is cold I like nothing more then snuggling up on the couch with a hot drink. candles lit. watching some great TV! we all know winter is the time for all the best shows and at the moment I am loving BBC drama The Last Kingdom an epic set back in the 9th century when England was invaded by the Danes, it also coincidentally has a bit of eye candy too, what more can we won't an educational historical story that happens to have a hot leading man, hahah! 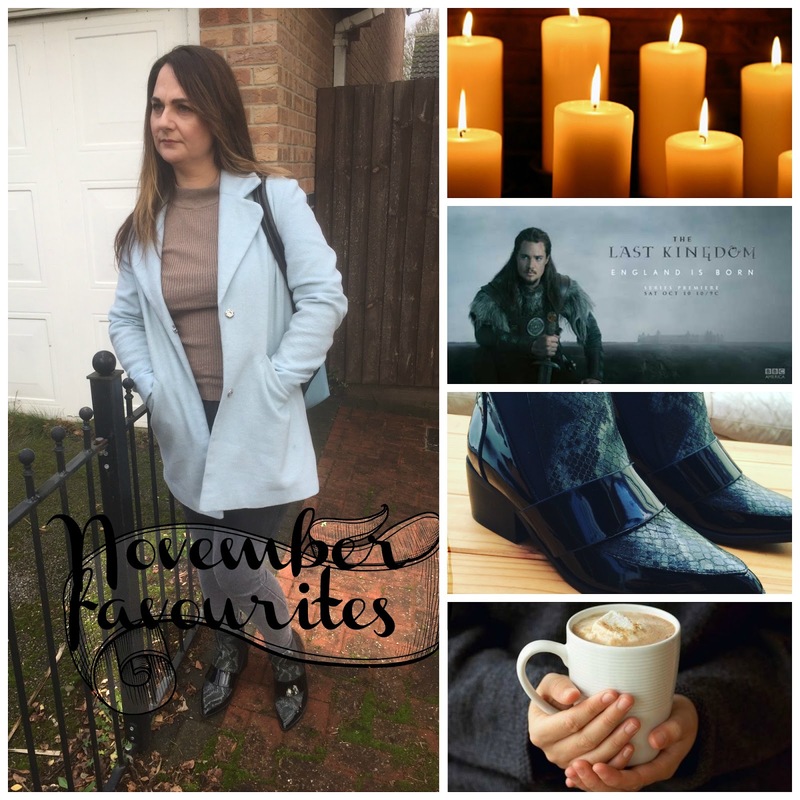 What have you been loving in November ? The last kingdom is FAB, I have been loving it! (and the eye candy too, haha). I love your coat too, it looks so pretty on you!